Keep step with the demands of customers across channels by transforming your service organization with a modern and adaptable platform. 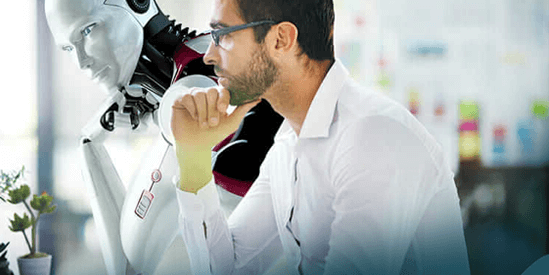 Help customers help themselves with self-service options such as portals, and empower your agents with Artificial Intelligence and Machine Learning capabilities to manage cases quickly and efficiently. Reduce costs with data and intelligence. AI-driven insights help you recognize which areas need improvement. Employ bots to make recommendations and rely on predictive care to avoid issues in the first place. Service portals, automated resolution and bots help free up your agents for high-value interactions. Improved staffing and resource allocation speed up case resolution and help address demand fluctuation. and discover up- and cross-selling opportunities. Service is increasingly becoming the number one differentiator for companies in all industries. To gain a competitive edge over its competitors, your business must deliver service that is top-notch, fast, smart and always available. 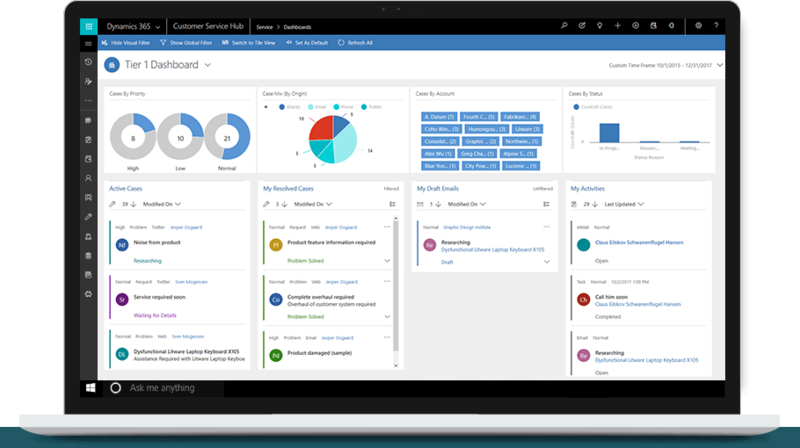 Dynamics 365 for Customer Service is the app that will help you do so – across channels and devices. Through automation, employee empowerment, predictive care and other features you will be in a position to not only meet but exceed your customers’ expectations and to gain their loyalty. Customer engagement solutions are proMX’s strong suit. 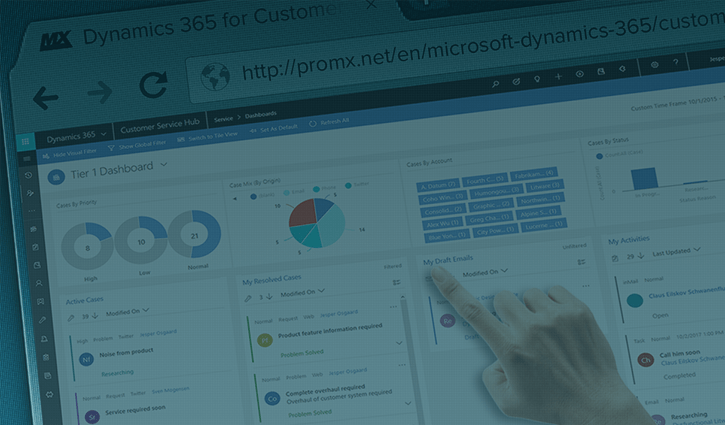 Our experts have taken a deep dive into the features of Dynamics 365 for Customer Service and have already worked on projects involving Artificial Intelligence and bots. Consult with them to tailor the app to your business's needs! Get answers to all your questions regarding Dynamics 365 for Customer Service, customization and compatibility with other apps in your personal free-of-charge webinar. A business analytics tool with interactive visualization capabilities for analysts, IT experts and developers alike. Power BI connects hundreds of sources of data for insights through reports and charts that create a 360° view of your business.